Tory Pattern Of Failure To Attend Meetings Emerging? 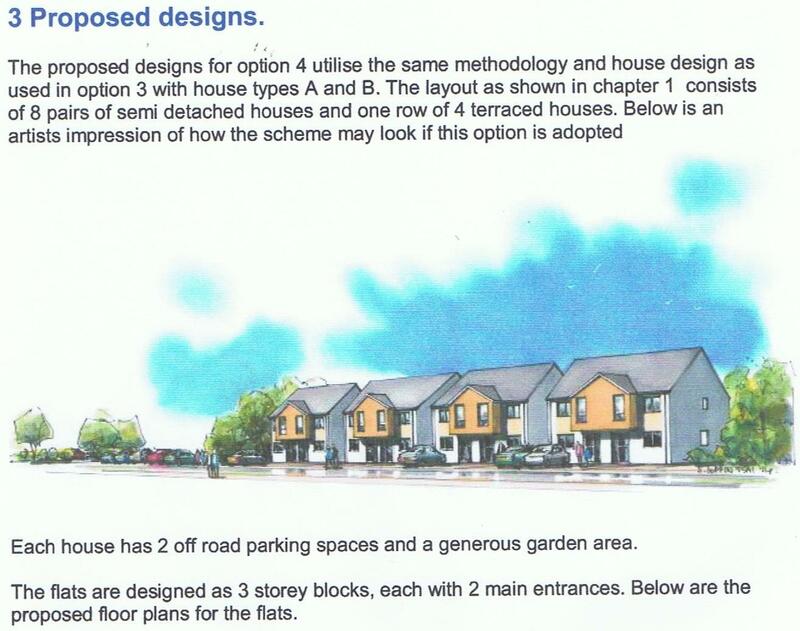 Jenny Forshaw holds the Cabinet Housing Portfolio, and as such has a special interest in the Beechtrees Revival Plan. The day following the Tory walkout of Full Council there was a scheduled meeting of the Estates Revival Cabinet Working Group at which Beechtrees was to be examined. Members are Councillor Ian Moran (Chairman), Councillor Jenny Forshaw (Vice-Chair), Councillor Frank McKenna, Councillor Paul Moon, Councillor David Westley, and Councillor Kevin Wilkie. But Westley and Moon were absent. Beechtrees Revival is a major investment, initially proposed in 2013/14 [click to enlarge] and described by its Tory instigators as “This proposed scheme would be great news for Beechtrees. We want to revitalise the estate and make it an even nicer place to live, and make our homes places where people will want to settle long term”. But it was held up by government changes to housing finance. 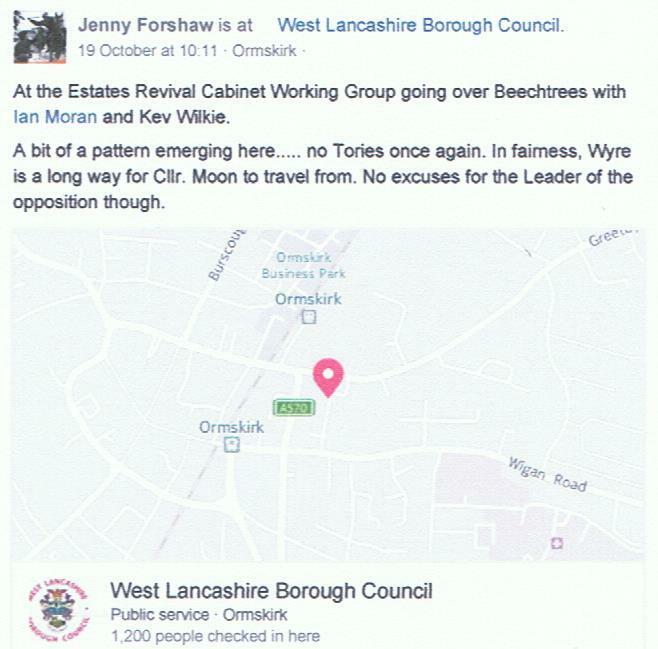 On Facebook “Jenny Forshaw is at West Lancashire Borough Council. 19 October at 10:11 Ormskirk. At the Estates Revival Cabinet Working Group going over Beechtrees with Ian Moran and Kev Wilkie. A bit of a pattern emerging here…..no Tories once again. In fairness, Wyre is a long way for Cllr. Moon to travel from. No excuses for the Leader of the opposition though”. My personal favourite was when Moon voted different ways in different councils on the same subject! That takes some brass neck. Why hasn’t he been kicked out by now? Yes, the green bin tax, supported it in Wyre, opposed it in West Lancashire, and takes allowances from both councils! Hypocrisy! The great ‘I am’, Frank McKenna eh….. He’s blocked me on twitter. “My value to the council is trying to articulate the ambition we have and talking to key partners in the public and private sectors” and “I am confident my overall contribution is significant and influential” he told the Champion last month…but he’s making two councils two allowances Cllr Moon look acceptable!